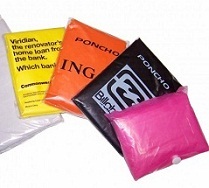 Keep your customers dry during the Diamond Jubilee events with our Queens Jubilee Emergency Ponchos and you won't be disappointed with the level of company exposure you'll achieve. Printed with a full colour insert, along with a colour choice of poncho also. As it's Great Britain it would be wise to prepare for rain even under a forecast of sunshine on the momentous day of the Queens Diamond Jubilee. Why not hand these out to the public and customers to expose your Corporation's branding and logo? For a FREE QUOTE, please fill in the form regarding our Queens Jubilee Emergency Ponchos and we'll be able to help you.